30 Jan 2017 | C.C.I. 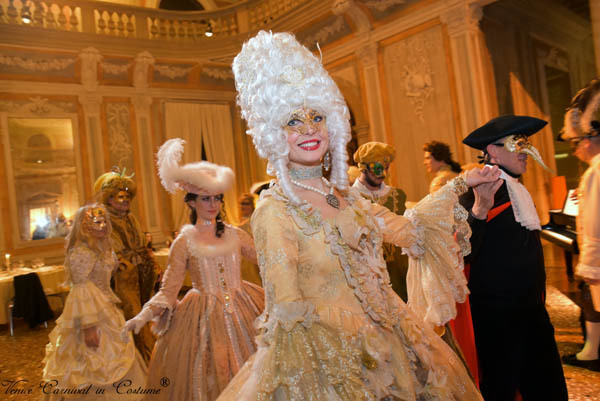 A Dinner in costume in the historic hall of the Ridotto, heart of the extravagant carnivals of the 18th century where nobles, gamblers and adventurers such as Giacomo Casanova were regular. 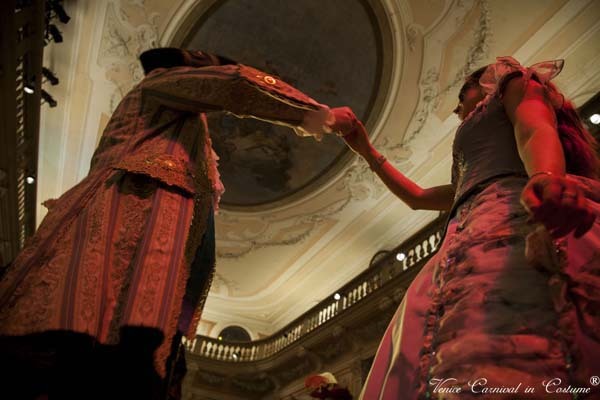 A Dance Master with his partner will lead the group dances throughout the evening and an opera singer will delight the guests between the different dances on the live music of a baroque ensemble. The seated dinner comprehends a four-course menu with wine included. The guests will be welcomed by a cocktail. The palace of the noble Dandolo was the first place to accomodate the “Ridotto”, public gaming rooms from 1638 till 1774. It used to be open during Carnival, which lasted several months. Now the hall belongs to the hotel Monaco & Grand Canal.